Sharing albums and photos are a big part of what makes Google Photos such a great product. You don’t have to jump through a bunch of hoops to share single photos or bigger albums like you do in other services. All you really need to do is just tap the share button in the app and then push the auto-copied link it generates to your recipient(s). Honestly, it’s one of the best things Google has done in years. 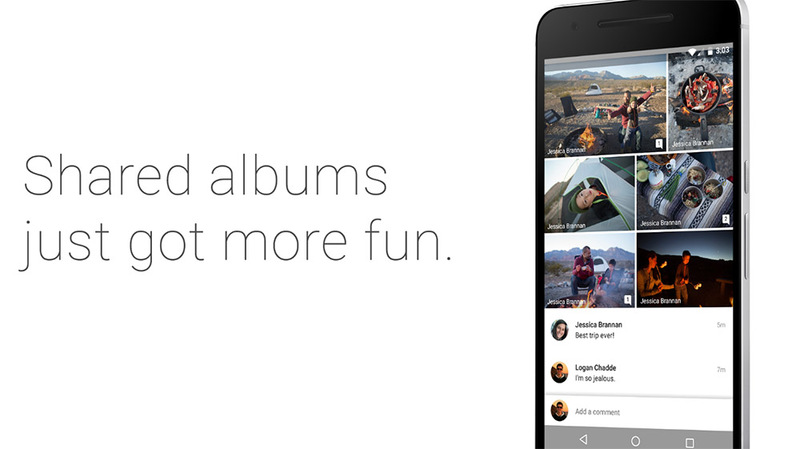 But Google Photos can still improve and Google is doing so today by adding new features to albums that are shared. In the latest update to Google Photos (v1.20), Google has added in commenting to photos and albums that are shared. That means the people you are sharing photos with can comment on them without ever leaving the app. That’s pretty cool, right? Along with commenting, Google is also providing “smart suggestions” that could make for good additions to a shared album. If someone sends you an album of a birthday party that you were at recently, Google will dig through your photos and see if you took any from the party before asking if you’d like to add them.